I bought myself the book Push, which is the book that the movie Precious was based upon. I figured that I would read the book because I had not see the movie and I know it is reviewed as being quite profound. Additionally, I loved the story of how Gabourey Sidibe was discovered - within 3 days she went from an average college student to staring in a soon-to-be hit film. At the time, she was participating in some small plays at the City University of New York school that I attended for my Masters. This book is written in the vernacular as the main character would be speaking, and it is painful to read about this girls life, but unfortunately I'm sure there are one too many other girls living just this way right around us. Sometimes I hear stories of personal belongings getting stolen from the patients and residents in the nursing home where I work, and I always wonder to myself how anyone could do such a thing. Like take the gold ring off of a confused 90 year old. Or take a bottle of perfume from their bedside drawer that was a birthday gift. Or take the gold necklace off of someone's neck while they were sleeping... yup this and more has all happened. I have worked in more than one nursing home and this stuff happens in all of them. I was suppose to attend a community event in a very impoverished neighborhood in the Bronx to give information and speak about healthy eating and nutrition. Indirectly, my presence would be intended to represent and advertise the nursing home and the home care services, etc. in the community. I ended up telling my boss and the business development guy that I was not able to go. Several reasons went into this - we met with the head of the community center that was putting on this fair and they were a caring couple who's mission is to help this community in need and they have done quite a bit, but from my vantage point there are way too many issues for me to begin to make a dent in by talking about whole grains and broccoli. I can't begin to describe the number of untackled issues - it seems to make nutrition so trivial. Children raised by grandparents because their parents are dead, teens who are pregnant, morbidly obese diabetics with no health insurance, couples on welfare with 9 children, food markets with nothing but processed ding-dongs and fried chicken... it goes much deeper than my little intervention can do especially with the majority of my experience geared to patients with quite a bit of knowledge about wellness and healthy behaviors. It is in my soul to want to help people, but this community requires a huge time commitment and many groups in participation to make some changes - I felt ill-equipped to serve them alone. Additionally, I have my own case load of assessments and consults to deal with at work and it would cost me quite a bit to take a large chunk of my day to go out into the community when these activities are not budgeted in my time. 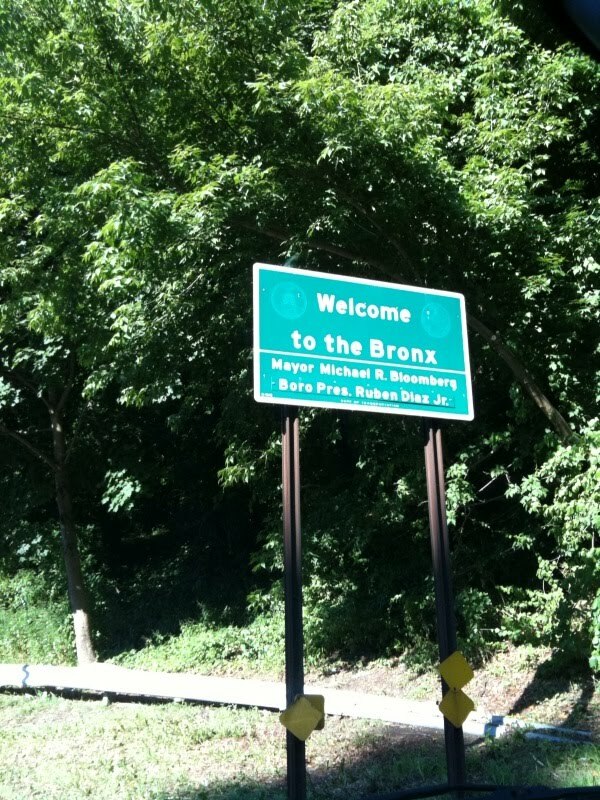 Call me crazy, but I couldn't get it out of my head that I would feel horrible and terribly awkward driving down and parking in this part of the Bronx where they cant afford a car at all, as I am driving a car that costs more than their yearly wadges. I drive a nice car- I shouldn't be ashamed of that, after all, my husband and I work very hard to make good money and live right and if we want to drive a nicer, newer car, we should feel comfortable doing so. But in this setting, no matter what you tell me, I will not feel comfortable and this was a huge deterrent to me for going to the community fair. Long story short, another girl in a community outreach position went to the fair to man the table and represent our work and we provided her with some nutritional handouts in English and Spanish for her to distribute. The fair was located in an open plot, like a make-shift courtyard between two apartment buildings. This young girl was at her table less than one hour when someone from a window in an apartment above dropped down one dozen eggs on top of her head. She, covered in sticky, messy eggs, left the fair without words to describe her disgust when we saw her the next day. That is the kind of person who slides the wedding band from the Alzheimer's patient. That is the kind of person who rapes their own daughter and gets her pregnant twice. And that is the kind of person who drains our society, and to whom advice about 5 fruits and vegetables a day would probably not illicit a lifestyle change. I do want to help, but I cant harm myself while helping. And, I hope I am not wrong, I believe that it is beyond my scope at this juncture to be of use.